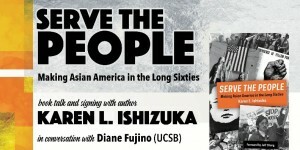 Join the UCLA Asian American Studies Center and the Asian American Studies Department in welcoming UCLA alum KAREN ISHIZUKA as she shares her new book on the Asian American movement! Light lunch will be provided & books will be available for purchase. Until the political ferment of the Long Sixties, there were no Asian Americans. There were only isolated communities of mostly Chinese, Japanese, and Filipinos lumped together as “Orientals.” Serve the People tells the story of the social and cultural movement that knit these disparate communities into a political identity, the history of how—and why—the double consciousness of Asian America came to be. At the same time, Karen Ishizuka’s vivid narrative reveals the personal epiphanies and intimate stories of insurgent movers and shakers and ground-level activists alike. Drawing on more than 120 interviews and illustrated with striking images from guerrilla movement publications, the book evokes the feeling of growing up alien in a society rendered in black and white, and recalls the intricate memories and meanings of the Asian American movement. Serve the Peoplepaints a panoramic landscape of a radical time, and is destined to become the definitive history of the making of Asian America. 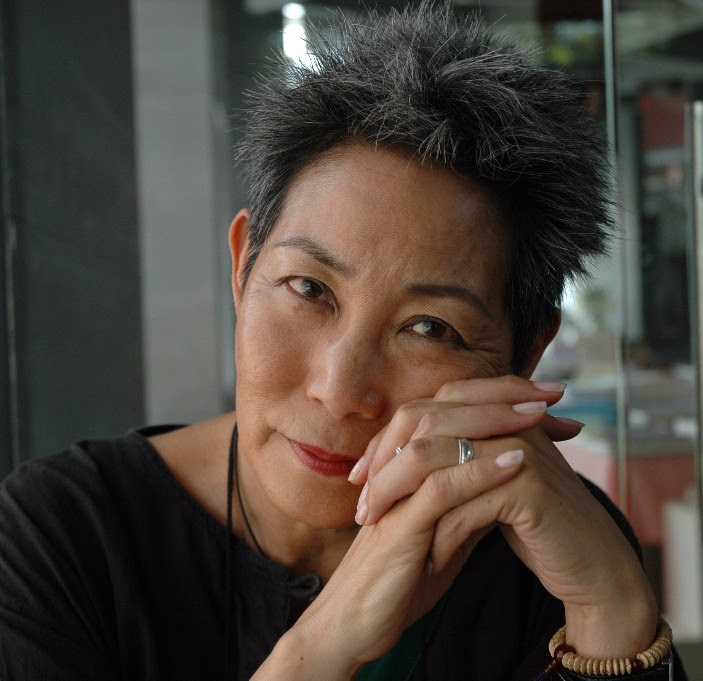 Karen L. Ishizuka is a third-generation American of Japanese descent who was part of the Asian American movement in Los Angeles. She is the author of Lost and Found: Reclaiming the Japanese American Incarceration, as well as many published articles, and coeditor of Mining the Home Movie: Excavations in Histories and Memories. An award-winning documentary film producer and museum curator, she helped establish the Japanese American National Museum and received her PhD from the University of California, Los Angeles. SAVE THE DATE FOR UPCOMING SPRING QUARTER EVENTS & DEADLINES!